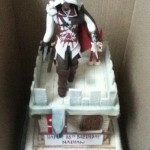 I’ve seen cakes for all kinds of situations, birthdays, weddings, anniversaries, deaths, firings, ect. 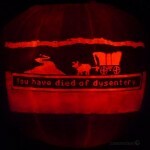 but I think this is the first cake I have seen celebrating having dysentery on your birthday. 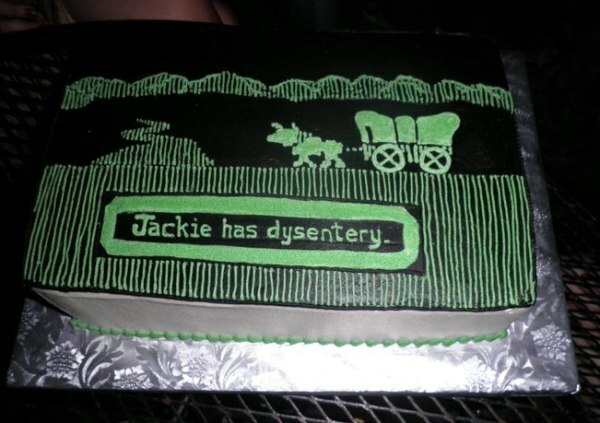 This awesome birthday cake is apparently for somebody named Jackie that is a huge Oregon Trail fan. 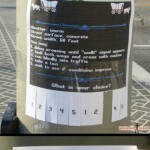 As somebody who grew up playing the game, I would love to have an Oregon Trail cake although I don’t think I would care too much for it saying I have dysentery. At least this cake looks delicious!